Laser processing has proven to be a high quality, cost effective manufacturing process requiring minimal tooling. Reduced tooling / fixturing makes laser processing ideal for prototype development and assists the part cost on production type work. Laser marking offers a fast and permanent way to label parts with text, logos, serial numbers and even bar codes. 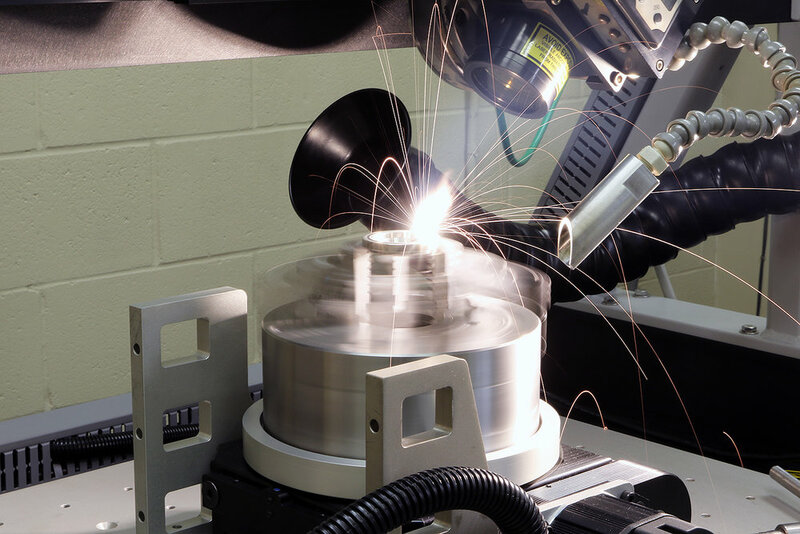 ATCo's Laser department includes four YAG lasers that fit the majority of its customers demands. The JK704 system complements ATCo's special talents in hole drilling. 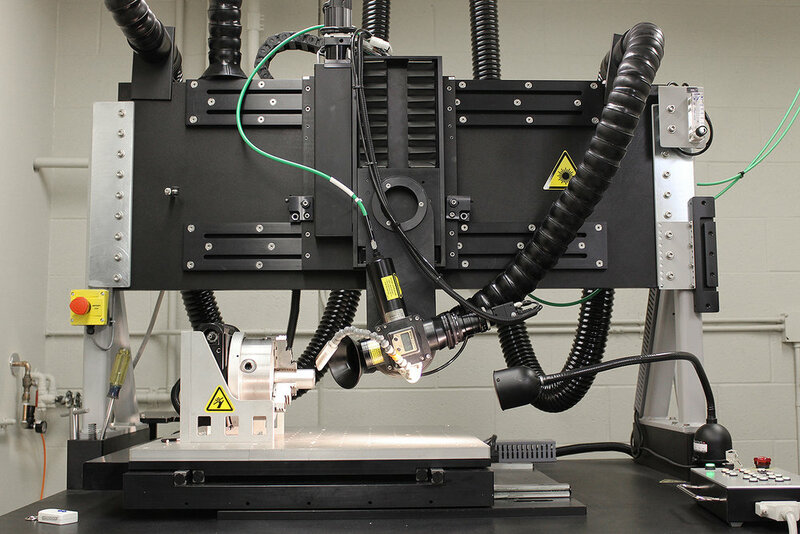 The addition of a new 300 Watt CNC controlled welding laser in 2015 has enhanced our welding capabilities. 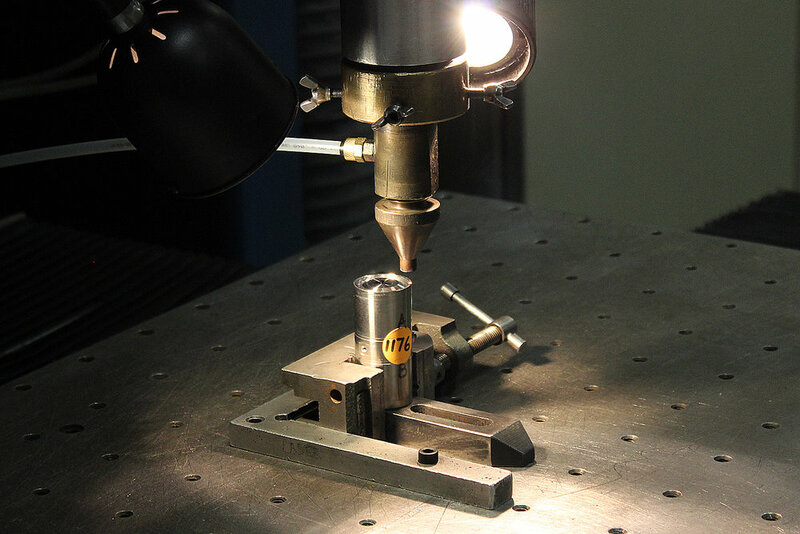 Laser Weld penetration from .002" to .060"
All welding lasers are equipped with CCTV Systems for accurate positioning. Narrow recast layer and heat affected zone. Cutting, Precision Hole Drilling and Welding of various materials. Multi Axis CNC Laser Processing. Laser Weld penetration from .002" to .060". Precision Hole Drilling .020" dia. In 1" thick steel in 90 seconds. Drilling 3 Precision Holes per second in 1/8" stainless steel. Drilling 10 Precision Holes per second in .040" thick stainless steel. This computer controlled laser marker can permanently scribe names, serial numbers, even logos in your parts. The work area is approximately 14" x 14" x 10". A rotary indexer is available for marking cylindrical parts. What is Laser Beam Welding? Laser cutting and drilling provides close tolerances, good edge quality and extremely fast feed rates. 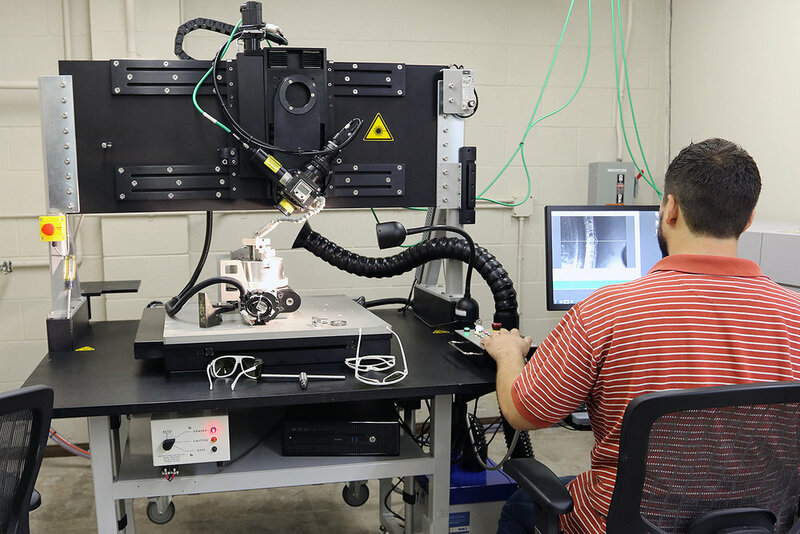 Laser welding provides non-contact processing, minimal heat input, high welding speeds, and welding in difficult access areas, with minimal or no finishing requirements. Laser processing has proven to be a high quality, cost effective manufacturing process requiring minimal tooling. Reduced tooling / fixturing makes laser processing ideal for prototype development and assists the part cost on production type work.